At Fuentes d' Onora (Almeida) on May 3rd, 1811, Lieutenant Allan MacNab, died of his wounds, and to his memory a small tablet was inserted in the wall of the enclosure at Inchbui bv his cousin, Archibald MacNab. Lieutenant MacNab, Allan's father, was an incurable spendthrift and for the non-payment of his debts was frequently in gaol. The sheriff was always on his heels. In the "Upper Canada Gazette" of April 14, 1798, published at Niagara, we read the following notice: "Two Hundred dollars reward! Home District (4) of Upper Canada, Newark, April 14, 1798. Broke the gaol of this district on the night of the 1st instant [the 1st of April, let it be noted], Lieutenant Allan MacNab, a confined debtor. He is a reduced Lieutenant of Horse on the half-pay list of the late corps of Queen's Rangers, aged 38 years, or thereabouts, five feet three inches high, fair complexion, light hair, red beard: much marked with smallpox, round shouldered, stoops in walking, a native of the Highlands of Scotland." 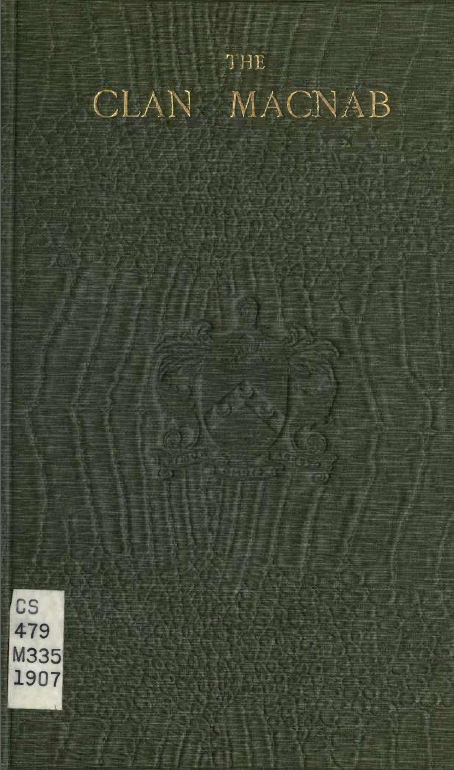 Such is the description of the person of Sir Allan Napier MacNab's father as given by the wag Alexander Macdonell (5) the then sheriff of the Home District. Allan MacNab Sr. was a lieutenant in the 71st Regiment and the Queen's Rangers under Lt-Col. John Graves Simcoe. Among those who fought in India were Captain James and Captain Robert Macnab who were of the House of Kinnell and were brothers to Allan MacNab who died at Almeida. Although Jean Stewart was clearly the mother of Lt. Allan MacNab, it is unclear whether she was his natural mother, or his step-mother. [S18812] The Clan MacNab, 23. 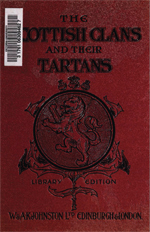 [S18812] The Clan MacNab, 22.